Do you know how I make my money? By having other people work for me! And ALL rich people do the same It’s that simple. Now I made the mistake of once having 25 employees and I won’t make that mistake anymore. Become an Instant Real Estate Guru Using Preston Ely’s New Instant Guru System Which Shows You How You Can Recruit Your Own Local Students Who Will PAY You For The Privilege of Finding, Analyzing, Negotiating, Buying and Selling All Your Houses For You! Its Valentines Day week and I want to help you out. Instead of spending thousands on a program that collects dust on the bookshelf here is something you have to look at. I have made one of my favorite programs available for almost nothing. So I went to work out yesterday and in the workout roommate the club house of our subdivision, there are like 8 large TVs. One of them showed the men’s finals at the Australian Open Tennis tournament. And it reminded me of when back in the days I was working as a college students for some German TV Stations as a Cable boy. Meaning I was helping set up cameras and TV Towers at Sports events and got to watch the games and on top of it was paid for it. One time the Davis Cup came to a town nearby and I was hired to work with the TV station which meant I got to spend 3 full days around some of the BEST and Most Successful Tennis Professionals in the world. And while I worked out I had some time to think about what makes these guys great. 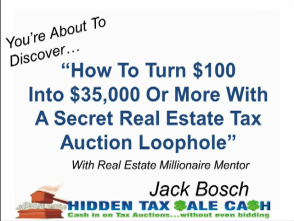 Hi, Jack Bosch speaking and I am excited to say that there finally is a simple yet amazingly effective formula to writing create Ads and descriptions for the Real Estate you are Advertising. For years most people (including me) who are in the real estate business have tried out all kinds of wordings in our property descriptions in the “hopes” that it would lead to some more and faster sales. But you probably never knew that there was a secret formula behind a GREAT ad and how to write it.